If you still think that Mian Mansha is the richest person of Pakistan then you need to verify your information. 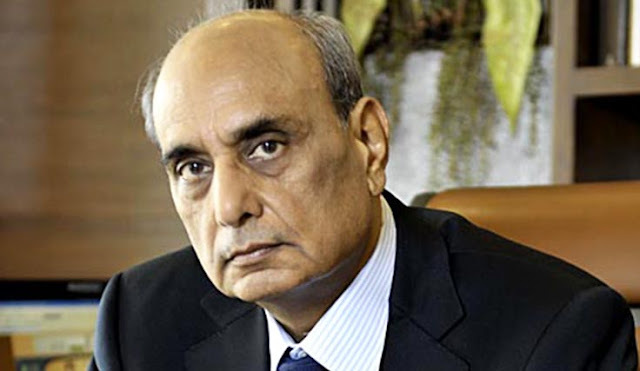 As of June 2016, Mian Mansha is not even in top 5 richest people of Pakistan. Economy has changed that has further changed the business ecosystem. 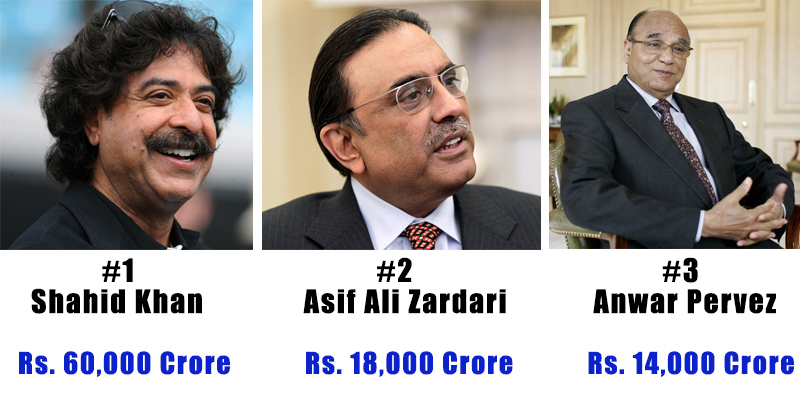 You must be interested in knowing the latest list of richest Pakistanis. The listed you are going to see below includes Pakistanis by order of their declared net worth. It includes Pakistanis who are citizens of Pakistan as well as people of Pakistani descent. 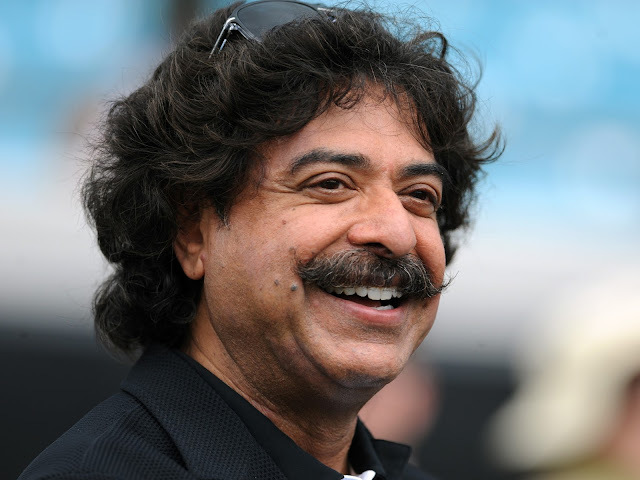 Shahid Khan is from Auto Parts and Sports industry and lives in Napes, United States. He is 64 year old and is currently richest Pakistani with net worth of $6 billion. Asif Ali Zardarsi is mainly from politics and has multiple revenue streams including agriculture, real estate and foreign investments. He is currently Pakistan's second richest person with net worth of $1.8 billion. 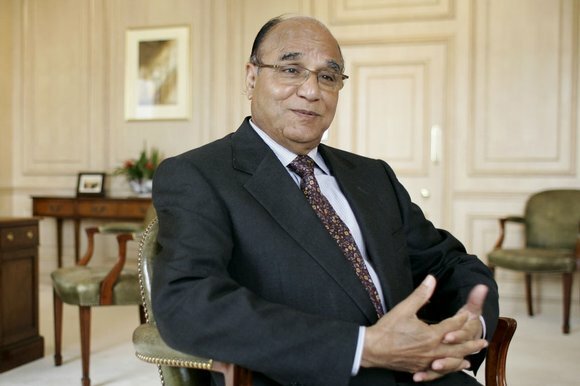 Anwar Parvez is third richest Pakistani with net worth of $1.67 billion. 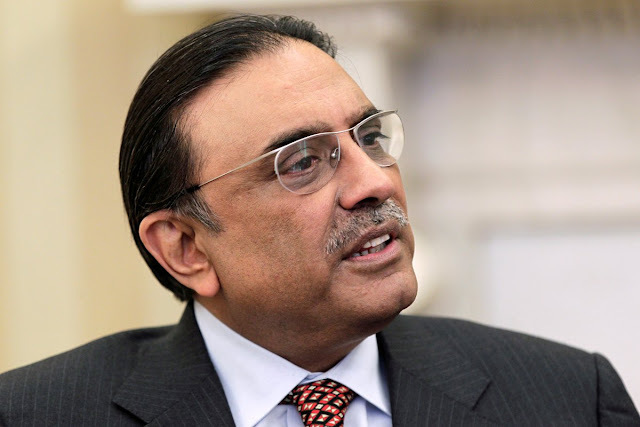 He is engaged in cement, banking and wholesale business and owns United Bank Limited in Pakistan. 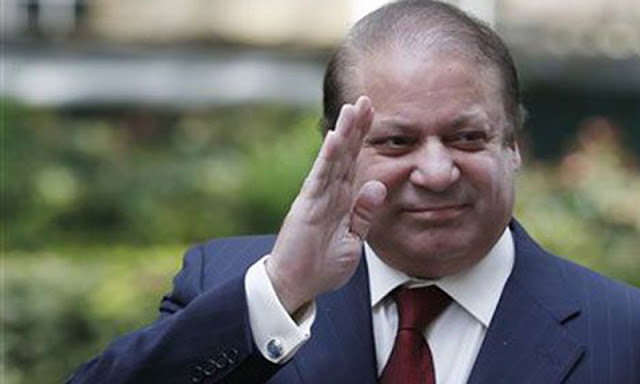 Nawaz Sharif is mainly popular for politics however he is also a business pioneer in Pakistan. He has steel, sugar, agriculture and various other businesses within and outside Pakistan. His declared net worth is $1.4 billion. 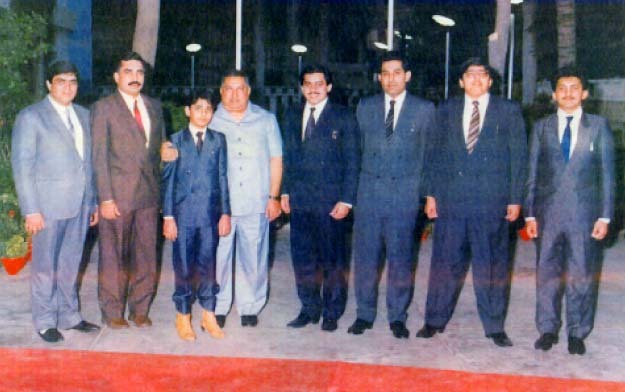 Saddaruddin Hashwani is another popular name among businessmen of Pakistan. He is engaged in the business of Hotels and Petroleum. He is 5th richest Pakistani with net worth of $1.1 billion. Man who went from rags to riches with dedication of decades. 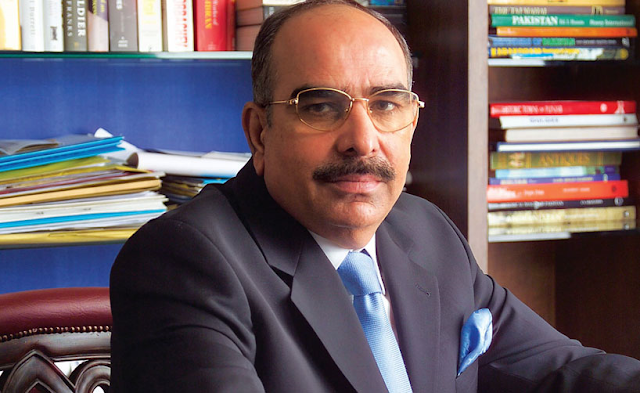 Malik Riaz Hussain is 6th richest Pakistani with $1.09 billion. He is a real estate tycoon in Pakistan. He topped the list of richest Pakistani for several years. This year he stands at number seven. With net worth of $1 billion, he is doing some great business in textile, banking, energy and transport industry. 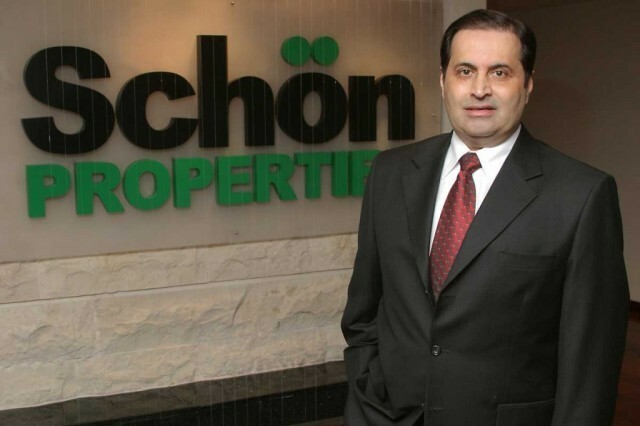 Nasir Schon is another real estate tycoon who mainly deals with international properties. 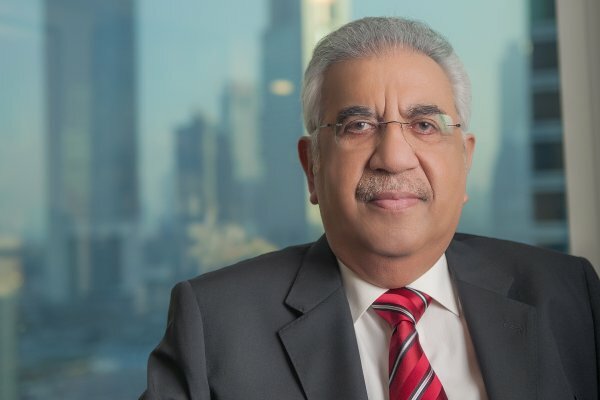 Living in Dubai, Nasir Schon is 8th richest Pakistani with $1 billion of net worth. Rafiq Habib is one of the richest person as well as one of the richest family in Pakistan. He is engaged in the business of banking, retail, construction and automobiles and has a net worth of $950 million.